How will I be greeted and how should I greet those I meet before and after services? 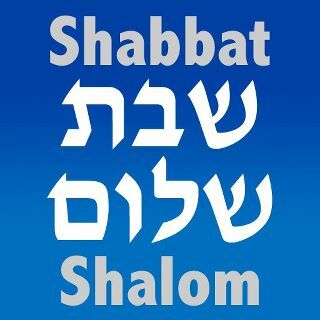 When you enter the sanctuary, you may be welcomed with the traditional Sabbath greeting, Shabbat Shalom, which means “a peaceful Sabbath.” It is appropriate to respond with this phrase. Do I need a prayer book? All synagogues provide worshippers with a prayer book (siddur) on Shabbat. You may be offered a prayer book when you enter the sanctuary. If not, prayer books are in the book racks at the back of each pew. Congregation B’nai Israel uses Mishkan Tefilah, a Reform prayer book. Note: Mishkan Tefilah reads from right cover to left, as in traditional Hebrew texts. Should I wear a kippah (yarmulke)? 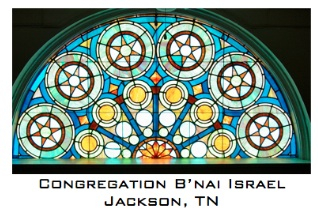 At Congregation B’nai Israel, wearing a kippah is optional. Kippot (pl.) are provided at the entrance of the sanctuary. Will I be expected to participate in the service? How will I know what to do? Rabbi-Cantor John M. Kaplan or a service leader will announce the page you should be on and indicate when you are to stand or sit. You should follow that person’s lead and stand or sit with the congregation. Read the prayers aloud and sing at your own comfort level. During Shabbat services, congregants may be called to the bimah (pulpit) to assist in the service either by blessing the Shabbat candles, opening and closing the ark or reciting the aliyah (blessings before and after the Torah reading). If the Torah is read at the service, there is a procession around the sanctuary with the Torah scroll. 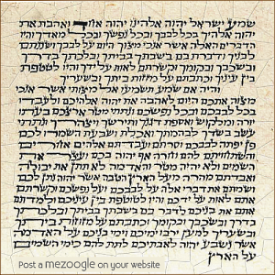 At that time, you may see congregants reaching out and touching the Torah scroll with either their prayer books, their hand or the corner of their prayer shawl as the Torah passes. This is a custom for Jews that conveys reverence for the Torah, although no one is obliged to participate in it. When may I enter or exit the sanctuary? Some common times to avoid entering or leaving the sanctuary are when the ark is open, the Torah is being read, or the sermon or d’var Torah is delivered. Because our most reverential times occur when we are standing, you should not exit or enter the sanctuary at such times. To honor the sanctity of Shabbat and show respect for the service and fellow congregants, all worshipers must turn off their cell phones before entering the sanctuary. What happens after the Friday evening service? If Rabbi-Cantor Kaplan conducts the service, at the conclusion of Shabbat worship, refreshments are served. On Friday evening, this gathering is called an Oneg Shabbat, which literally means “the joy of the Sabbath.” Everyone is welcome to attend and enjoy the Oneg, both members and visitors. What is the raised area in the sanctuary called? What ritual objects should I be aware of? 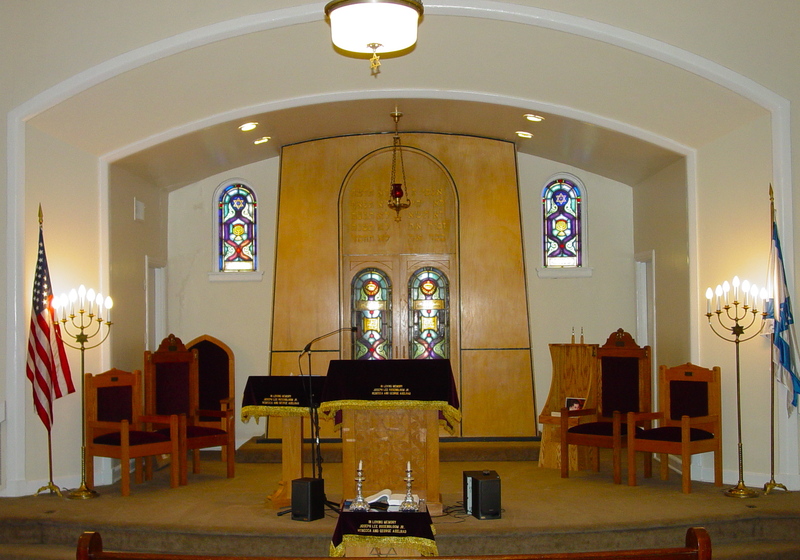 The raised area either in the center of the sanctuary, where services are conducted, is called the bimah. On the bimah is the most sacred place in the sanctuary, the Aron HaKodesh or holy ark, which houses the Torah scrolls. Above and in front of the ark hangs the ner tamid or eternal light, which burns constantly as a reminder of God’s Eternal Presence. Can I take photos? Photos may be taken before and after but not during services.